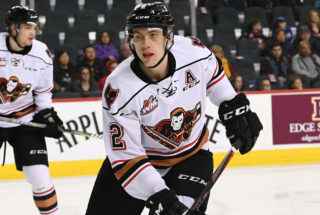 The Hitmen dropped a 4-1 decision to the Red Deer Rebels Sunday afternoon in a contest that got away from them early on and they were never able to recover from it. It wasn’t the effort they know they are capable of. 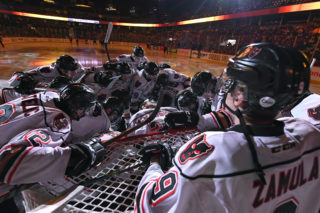 “We weren’t very good at all,” head coach Steve Hamilton said. “We weren’t competitive enough and chased the game. 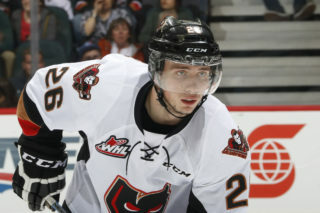 Hunter Campbell scored the lone marker for the Hitmen, shorthanded, for his second of the season. Goaltender Jack McNaughton ended with 28 saves in his 19th consecutive start. The Rebels saw goal from Brandon Hagel, Alex Morozoff, Arshdeep Bains and Carson Sass while Byron Fancy made 23 stops to record the win. It was a game that saw the penalty killing unit called upon seven times, tasked with two 5-on-3 situations and a couple of five minute calls. On the flip side, the powerplay only saw two opportunities, falling to score on either man-advantage. 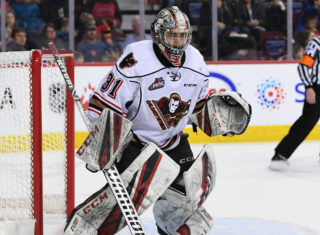 Sunday marked the second straight game that the Hitmen didn’t muster up a shot on goal until the halfway mark of the contest, an area they know that needs to change. 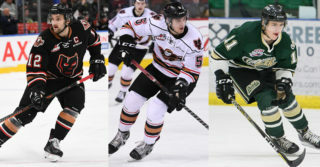 The Hitmen will now look to bounce back for the upcoming weekend with two more home games starting Friday night against the Prince George Cougars. But until then, all the focus is on the first day of practice of the week on Tuesday. “We have a lot of work to do,” Hamilton said. “We haven’t been proficient in any area of the game we need to be and we’re facing hard times.